35 x BEST IN SHOW wins! Richie was as our first homebred BIS winner and also our first ever BISS winner. 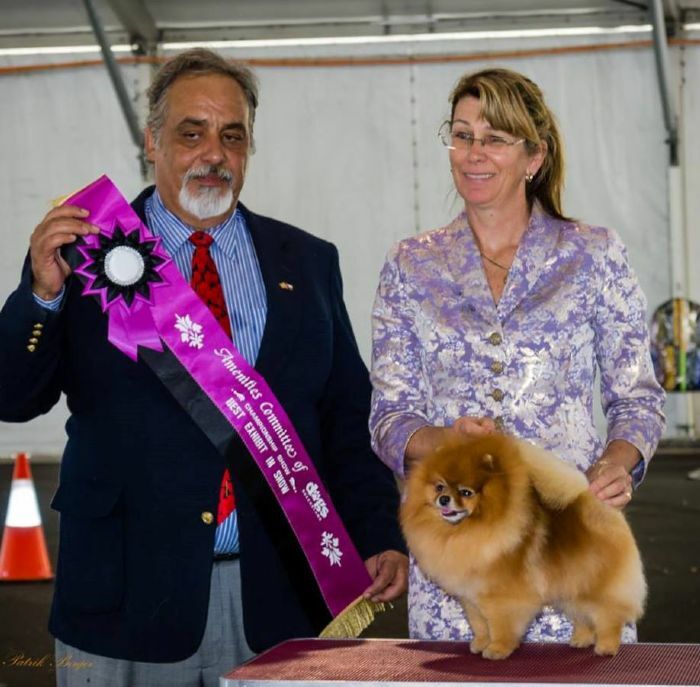 He showed his promise as a youngster during 2011 being the dogzonline #1 Rising Star Toy Dog in AUSTRALIA (equal) and the #1 Rising Star of All Breeds in QLD, then created the unique record in backing up as an adult in 2014 to also be the #1 Toy Dog in AUSTRALIA and the #1 All Breeds in QLD! 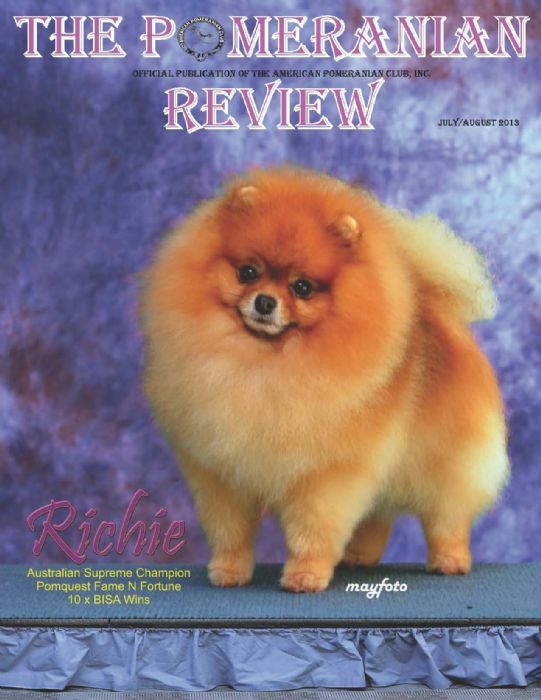 Richie ended up being Australia's biggest BIS/BISS winning Pomeranian since the 1970's and the biggest winning breeder/owner handled ever. 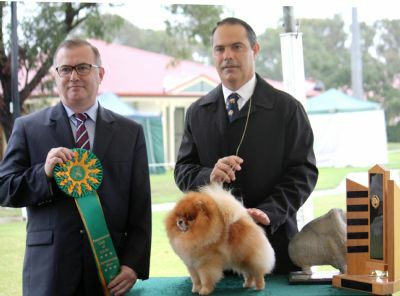 He matched it in the BIS ring with the big boys winning an amazing 35 x BEST IN SHOW's and then also in the Specialty ring where he jointly holds the record for most BISS wins in the history of Australia's only active Breed Specialty Club. A true once in a lifetime show dog. RUBIS CH Pomquest Ja Dore Papa JDX SPD SD AD, "Dollar"
CH Pomquest Mischief N Mayhem, "Mischief"
CH Pomquest Uptown Girl, "Christie"
CH Pomquest Fierce N Fabulous, "Hansel"
CH Pomquest Viva Las Vegas, "Annie"
CH Dreamforever Angel Of Fortune, "Angel"